William E. Bailey was a legend in the field of personal development, personal growth, and team building. Mr. Bailey mentored and trained such greats in the personal development field and network marketing as Jim Rohn, Les Brown, Larry Thompson, Willie Larkin, Rudy Revak, and many others. 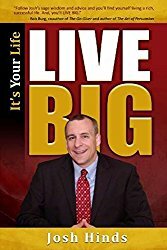 He has successfully mentored a number of individuals to six-figure lifestyles and some to seven-figure incomes. In 1972 Mr. Bailey -- along with Ross Perot, Ray Kroc and others received the coveted Horatio Alger Award personally presented by Dr. Norman Vincent Peale "for distinguished service to youth, enhancing the American traditions of individual initiative, perseverance, integrity, and love for freedom." He has also been awarded the prestigious Golden Plate Award as a "Captain of Industry." Mr. Bailey was one of the featured Speakers in The People's Network. Mr. Bailey has a wealth of real-world experience in life, living, and success. Bill could always be found sharing his knowledge and ideas with business leaders, entrepreneurs, and network marketers through personal mentoring, and helping individuals achieve personal excellence. Mr. Bailey always remembered his humble origins, as one of 11 children, born and raised in the hills of Kentucky. From that beginning, he lived a life that most people only dream of living. He received his BA from the University of Illinois. He traveled all over the world building businesses -- the largest at its peak, grossed over $64 million per month. Mr. Bailey flew his own personal SabreJet, sailed his 110' yacht, and lived the lifestyle of the Rich and Famous. He performed in Shakespearean plays on television, successfully promoted a World Lightweight Boxing Champion, and had a personal audience in 1968 with Pope Paul VI who recognized Mr. Bailey for his philanthropic efforts on behalf of the orphans in San Jose, California.